Bill Direen‘s song “There’s a Youth In This City” will be on Zelle’s Robert Burns Compilation, “Ae Fond Kiss”. Here at Zelle, we are increasingly psyched about the upcoming Robbie Burns record (working title: Ae Fond Kiss). David and Hamish Kilgour (of The Clean) have teamed up to deliver a highly unusual track called The Collected Complete Works of Robbie Burns. Very awsome indeed. 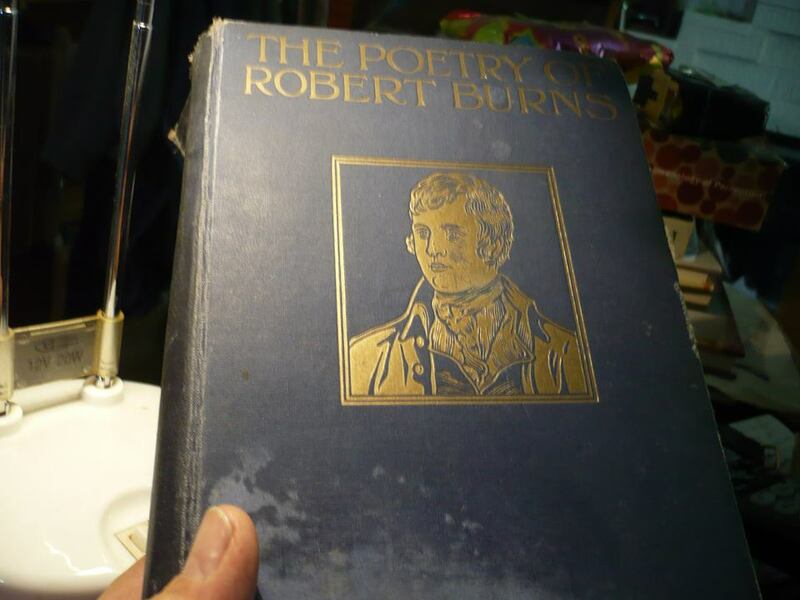 The Poetry of Robert Burns (photo stolen from Bill Direen).